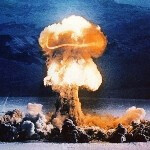 With all of the pressure on RIM to make BlackBerry 10 the saviour of the company, the last thing RIM CEO Thorsten Heins wants to read about is about an exploding BlackBerry, unless the context is about exploding sales. Unfortunately for RIM and Heins, the kind of explosion that we are talking about brings to mind a loud boom and lots of smoke and fire. 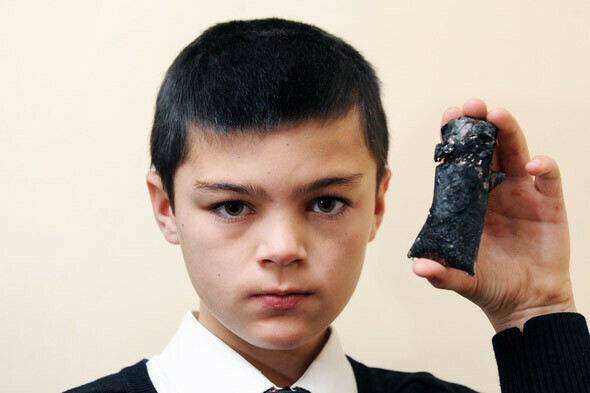 Allegedly, this is what happened to a BlackBerry Curve 9320 belonging to 11 year old Kian McCreath, who lives in the U.K. According to the youngster, he had the BlackBerry Curve 9320 in a charger. He removed the phone from the charger and placed it on his bed before it exploded, bursting into flames. McCreath wound up with burns on his legs and his family is asking Canadian based RIM to recall the device. In RIM's defense, the manufacturer has not received the phone or the charger which they would love to analyze. The McCreath family says that they cannot locate the actual device in question. We don't want to question the integrity of an 11 year old, but surely you remember the guy who swore that his Samsung Galaxy S III handset exploded while sitting in his car dock, even though it wasn't plugged into anything. It turned out that the guy's friend had dropped the device in water and put it in a microwave to dry out. We are not saying that something like that happened here, but not being able to find the damaged device is a big red flag, especially when a photograph supposedly shows the device being held by McCreath. I should put one of my devices in the microwave and maybe the company will send me something shiney! Ooh!! We're so SCARED of ur pewny 11-year-old stalker face!!! :( is what u loom like!!!! Curious, are you by any chance from America? Blackberrys over here in the UK a very popular (God only knows why), plenty of 11 year old chavs love their little toy phone. funny thing is that before, the full touch screen phone are considered as a toy now you consider BB as a toy.... sad world! Ha! 2 years old have bold 9900 in my country "A fanboy will do anything in order to defend their idols"
Lol ajac09 has a point, let's be real here. ...and thus the new BB Swerve 2039 is born. Although this certainly can happen (after all, our batteries have Lithium in them, which is an explosive substance), its very unlikely. Im gonna have to side with RIM on this until these people can cough up the proof, since its more likely the kid was burned by something else. There's something fishy about this story. Yeah, there always is. Besides, only like one out of every million phones even has a change of doing this. There's probably some physical abuse involved as well. It's really not a problem. iPhones, Androids, and now Blackberries have all had some stupid story like this. That child looks like he is possessed. He really does. Probably made it explode with his mind. Someone needs to check that kid for 666 markings. Quick, let's short blackberry stock! Interesting that this news should appear just as its share price approaches the $12 resistance level. there's something fishy to this story... a kind of story that people will make to recieve a new device! its not bb its a c4 the kid thought he had picked up his bb but no. Poor kid. Having to use a BB Curve.. Just kidding before I get my head chewed off. Obviously a fake from the parents that spawned this devil child. PS - if you stare at his eyebrows too long you spontaneously renounce christ. I call possible fake until the device and charger are available for inspection. As far as a child having a phone, let alone a smartphone, that's a parenting choice. I think it depends on the maturity of the child in question. Most children I've seen with smartphones shouldn't have them (based on how they acted in my store). There is no way to truly know; we can only hope for the inevitable conclusion of a settlement, or legal action taken by RIM if this is indeed a scam. High price to pay to drive down the stock just to get it at a better price.